Beanie Hat - APRINT for Custom T-shirts, Screen Printing, Embroidery personalising Workwear, Schoolwear. Our beanie hats are available in a selection of colours, also available with personalisation. 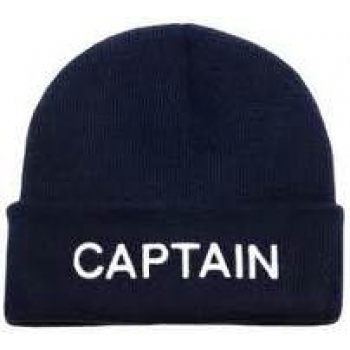 The beanie hat pictured has been personalised with the word CAPTAIN. If you require personalisation select the option before adding the item to the cart. We will contact you to discuss the personalisation you require adding to your purchase.